Delph Community Association shared a post. We are open every day this week through to Monday 22nd April; 10am to 4:30pm. Entrance to meet and feed the animals is £3.50 each or £12.50 for a family of four. Children under two are free. Cindy's Cafe is open serving breakfast, lunch and homemade cakes! We had a wonderful morning on our ‘Alice in Wonderland' Story Walk in #Crompton. We had a great audience and had a wonderful time listening to tales from the Mad Hatter! We found all the clues, and answered all the quiz questions along the way! 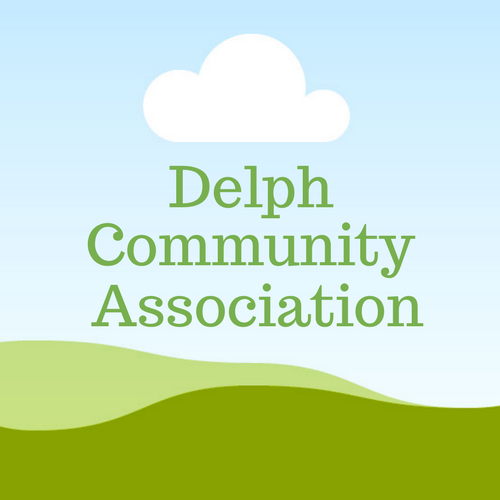 Delph Community Association shared a photo. Our Great British Spring Clean is in on Saturday 30 March. Can you help us get the village ship shape? All welcome - many hands make light work! #GBSpringCleanJust two days until the #GBSpringClean kicks off! 🚮 Get involved in a clean-up, or pledge to do you own litter pick. 👉 Over 400,000 #LitterHeroes are already taking part, are you one of them?